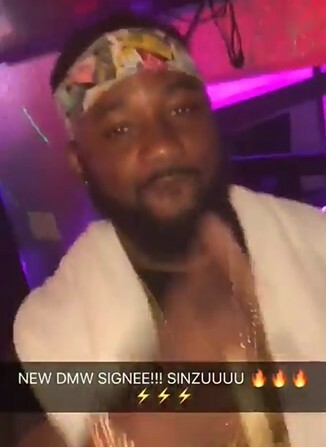 Newly released Sinzu is the latest signee on Davido’s DMW label. 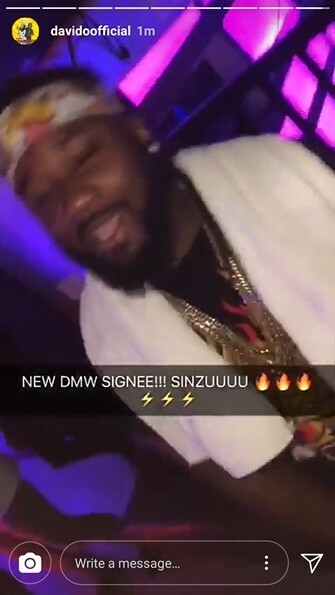 Davido himself just broke the news on his insta story revealing Sinzu who was just released from a US prison after serving a 2-year jail term for fraud is his newest signee. When Sinzu was still very much on the scene and Davido was coming up, his now new boss had a collaboration with him on a track, titled Carolina. We wish the two all the best. Just 4 days ago, Davido signed Idowest the Shepeteri king to DMW as well. » Popular Nigeria Artist Wizkid Searching For People In His Record Label.